Please note that an earlier version of the following was sent to a few members and then subsequently revised to better reflect its purpose and goals. This should be taken as the official, public version. 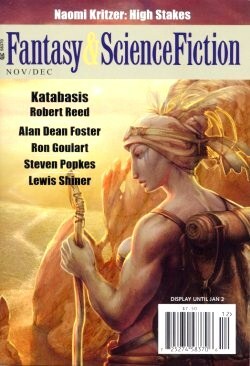 Steven Gould, President of the Science Fiction and Fantasy Writers of America, is about to institute a policy of censorship based on political correctness in the organization’s public publication, the magazine available for purchase by the general public, the SFWA Bulletin. As a former Bulletin editor serving at the pleasure of two SFWA Presidents (Paul Levinson and Norman Spinrad) I was shocked when I visited the page at the SFWA website where the call for a new Bulletin editor listed the new job guidelines and requirements. As with previous years, this list is not meant as comprehensive, there being several items we were not able to acquire and there are always the few stray stories published in non-traditional venues which we did not see. As was the case last year we narrowed our focus (with rare exception) to those stories published in professionally paying markets as defined by SFWA (5c/wd.). While SFWA has changed its pro-market requirements for 2014 to 6c/wd. we will continue to cover those markets paying the former rate of 5c/wd. 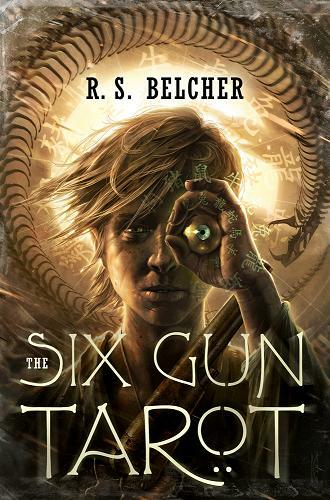 Two weeks ago R. S. Belcher and Tangent Online hosted a contest where the first, second, and third person to correctly guess a character reference in Rod Belcher's The Six-Gun Tarot -- that no reviewer or blogger had yet mentioned -- would win free novels generously provided by Tor books. Alas, out of the many entries received there was no winner. Rod Belcher, Tor books, and Tangent Online wish to thank all those who participated, and better luck next time! 1st, 2nd, and 3rd place winners will be announced here on Monday, July 15th, 2013. First Place winner will receive three 2013 Tor books of winner's choice. 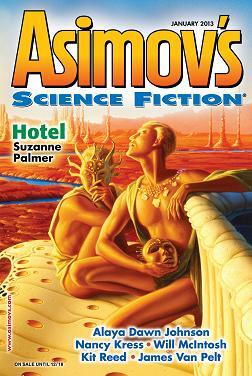 Second Place will receive two 2013 Tor books of winner's choice. Third Place will receive one 2013 Tor book of winner's choice. with followup Q&A with Rod Belcher. "Things Greater Than Love," Kate Bachus, Strange Horizons (19 March 2012). "Immersion," Aliette de Bodard, Clarkesworld (June 2012). "Scattered Along the River of Heaven," Aliette de Bodard, Clarkesworld (January 2012). "Close Encounters," Andy Duncan, The Pottawottamie Giant (PS Publishing). NOTE: Duncan, a juror, removed the story from consideration. "The Grinnell Method," Molly Gloss, Strange Horizons (3 September & 10 September 2012). 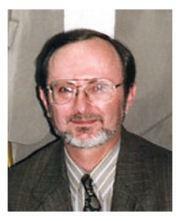 "The Weight of History, The Lightness of the Future," Jay Lake, Subterranean Press Magazine (Spring 2012). "The Bookmaking Habits of Select Species," Ken Liu, Lightspeed (August 2012). "Mono No Aware," Ken Liu, The Future Is Japanese (Haikasoru). "Nahiku West," Linda Nagata, Analog (October 2012). Eater-of-Bone, Robert Reed, (PS Publishing). "The Peak of Eternal Light," Bruce Sterling, Edge of Infinity (Solaris). 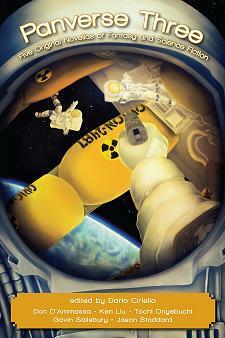 "(To See the Other) Whole Against the Sky," E. Catherine Tobler, Clarkesworld (November 2012). After the Fall, Before the Fall, During the Fall, by Nancy Kress (Tachyon Press). As with previous years, this list is not meant as comprehensive, there being several items we were not able to acquire and there are always the few stray stories published in non-traditional venues which we did not see. As was the case last year we narrowed our focus (with rare exception) to those stories published in professionally paying markets as defined by SFWA (5c/wd.). As is our custom, there are four sections to each length category. Those making the list in the short story, novelette, and novella lengths but having no stars, and those with either one, two, or three stars, according to how well the reviewer or reviewers valued a particular story. Quite often you will see more than a single reviewer's initials following a given entry. We have placed the story in the category receiving the most stars. Thus, it is possible that while one reviewer merely placed a story on the list without any stars, another also placed it on the list but with one or more stars, thus elevating that story to the higher ranking. Where there are more than one reviewer's initials following a story recommendation, they appear in no particular order. Tangent Online has posted a (never before reprinted) 1976 interview with Ray Bradbury. See the Interviews section below. As with previous years, this list is not meant as comprehensive, there being several items we were not able to acquire and there are always the few stray stories published in non-traditional venues which we did not see. Also, this year we narrowed our focus to only those stories published in professionally paying markets as defined by SFWA (5c/wd.). As is our custom, there are four sections to each length category. Those making the list in the short story, novelette, and novella lengths but having no stars, and those with either one, two, or three stars, according to how well the reviewer or reviewers valued a particular story. Quite often you will see more than a single reviewer's initials following a given entry. We have placed the story in the category receiving the most stars. Thus, it is possible that while one reviewer merely placed a story on the list without any stars, another also placed it on the list but with one or more stars, thus elevating that story to the higher ranking for any length category. Where there are more than one reviewer's initials following a story recommendation, they appear in no particular order.